It was dark when the train pulled into Middletown’s depot on a December evening in 1901. Eleanora Gervasi, 17 years old, was on board with her younger sister Lucia, and her older sister Sebastiana and her small children. They had left their village, Melilli, on the island of Sicily three weeks before. In Middletown, snow covered the ground. The sisters gathered their bundles, and embraced their brother Paul, who took them to his rooms on Portland Street in the city’s North End. Five days later, Eleanora and Lucia went to work at the Russell Manufacturing Company. Lucia was 11 years old. 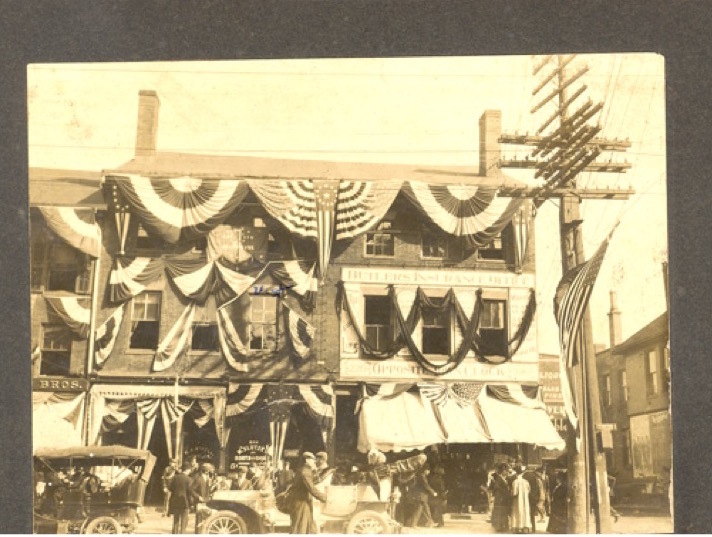 The Gervasis’ arrival in Middletown in 1901 was part of a flood of immigrants from the village of Melilli—a flood that was to permanently change the face of Middletown. But the people of Melilli were not the first Italians to settle in the city. As early as the 1860s Italians had made their way to Middletown. The first arrival was probably Fabio Bogani, a native of Florence who worked here as a tailor about 1861. For several decades, more Italians trickled into Middletown. The story of the Melillese immigration began with Angelo Magnano who came to America from Sicily in the 1880s and settled in Middletown in 1895, working as a barber. Magnano wrote to friends in his home village, urging them to come to Middletown, where opportunities were greater than in Italy. The Melillesi began arriving here just before 1900, their numbers quickly swelling. 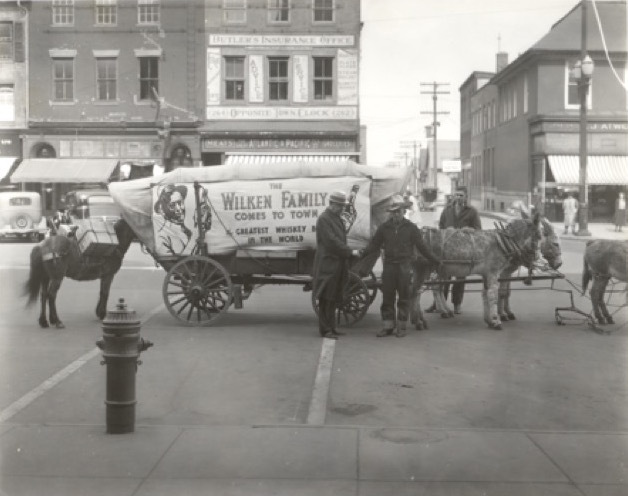 Between 1900 and 1910, Middletown’s population increased 20 percent—thanks in large part to the new settlers form Melilli. Most of the families settled in the neighborhoods east of Main Street: Green Street, Rapallo Avenue, lower Court Street and Center Street. Tenements housed the newcomers who quickly formed a strong, close-knit community. 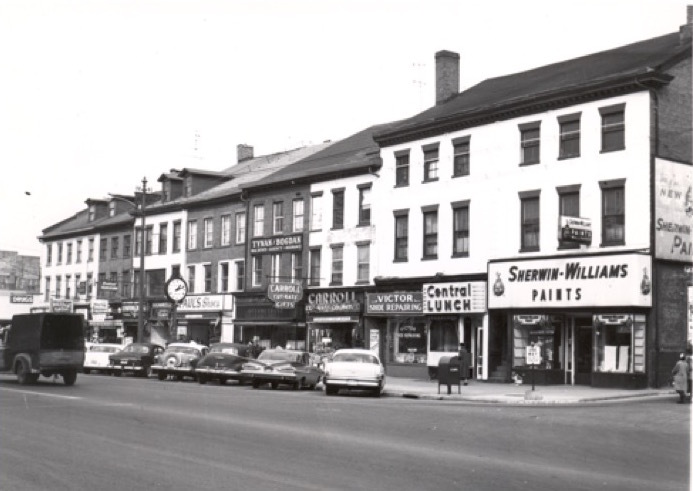 Just north of the Melillese neighborhoods, a group of Italian immigrants from Pietracatella settled on Bridge, Miller, and St. John’s streets. The Italian men took jobs as laborers or factory workers; women sometimes worked in factories as well, or brought home “piece work”: sewing that they could do at home for employers like the Russell Manufacturing Company. For many years, the Italians worshipped at St. John Church, whose congregation was predominantly Irish. In 1931, the Italian community built St. Sebastian Church, a replica of the village church in Melilli. The Italians formed a strong, insulated “village” in Middletown, and soon began to influence the city as a whole. In 1934 Middletown elected its first Italian mayor, Leo B. Santangelo. 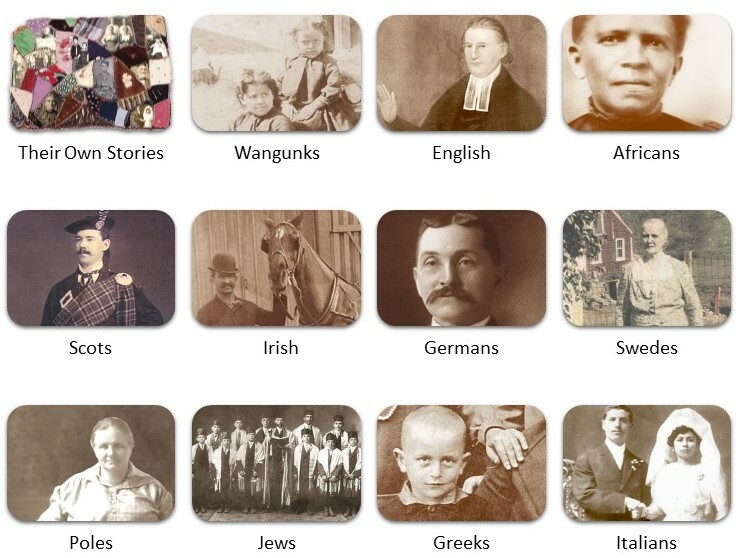 At the start of the 21st century, the number of Middletown residents claiming ancestry in Melilli was greater than the entire population of the sister village in Sicily. Fabio Bogani was probably Middletown’s earliest Italian resident. As a teenager, Fabio left his home in Florence and went to sea as cabin boy on the U.S. frigate Constitution. He eventually came to Middletown in the early 1860s, where he began working as a cutter for a tailor. Bogani went on to open his own tailoring business on Main Street, where he made custom clothes for the gentlemen of Middletown. Bogani’s assimilation into American life was unusual. He lived on South Main Street, well outside the established Italian neighborhoods. And while nearly all of Middletown’s early Italian immigrants attended Catholic services at St. John Church, Fabio Bogani’s funeral service in 1923 was conducted by a Methodist pastor. He was buried in Pine Grove Cemetery. The first person to arrive from the Sicilian village of Melilli was Angelo Magnano who immigrated to the United States about 1886. Tradition says that he came to Middletown briefly, but did not stay. Angelo’s brother, Vincenzo Magnano, arrived in America a few years later, along with Francesco Lentini, a boy born with three legs, from a nearby village in Sicily. For several years, Vincenzo acted as manager for the boy who toured with the Barnum and Bailey Circus. The Mellilesi brought to Middletown the traditions of their hometown, which included loyalty to their patron saint, Sebastian. The Feast of Saint Sebastian, an annual festival celebrated for generations in Melilli, soon became a tradition in Middletown. 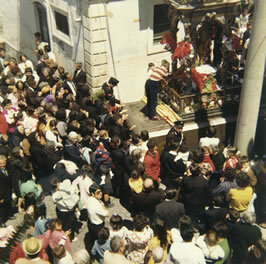 In its early years, the feast lasted three days and included a parade in which the immigrants carried a statue of the saint through the streets. With funds raised by the feast, the Italian community began to plan its own church in Middletown. In 1931 it built St. Sebastian Church, a replica of the basilica in Melilli, shown here in a postcard sent to Giuseppina Mazzotta Bonaiuto from relatives in her home village. neighbor, Sebastiano Bonaiuto, a young painter from Canicattini Bagni, Italy. They married less than two years later. Sebastiano began his own painting firm. The Bonaiutos and their three daughters lived on lower Court Street for many years before moving to Burr Avenue. The small statue of St. Sebastian had a place of honor in their home. So remembered Eleanora Bellobuono when she was 90 years old, more than seven decades after she arrived here from Melilli at age 17. Upon reaching Middletown, Eleanora and her 11-year-old sister immediately began working in the factory of the Russell Manufacturing Company. Eleanora received six or seven dollars for working six days a week, ten hours a day. 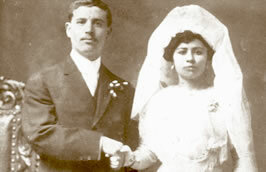 When she was 20, Eleanora married Giovanni Bellobuono. The couple lived on Clinton Avenue and had seven children. Giovanni’s mother, Filomena, joined them and helped raise her grandchildren while Eleanora continued to work at the Russell Manufacturing Company. Eleanora lived to the age of 97. Carmelo Giuliano’s story echoes that of many of the American-born children of Middletown’s Italian community, as they balanced assimilating into American culture while maintaining the ties and traditions of Italy. Born in Middletown in 1910, Carmelo, known as Carl, was the son of Sebastiano and Carolina Giuliano, immigrants from Melilli. His father had arrived alone about 1900, first working as a laborer in the Portland quarries. His mother, who came a few years later, was stopped at Ellis Island. She failed the medical exam required to enter the country and had to wait another six months before trying again. Carl, his twin brother, and two older sisters were often torn between the traditions of their parents’ homeland—re-enforced by their fellow Mellilese immigrants in their Center Street enclave–and their attempts to find their places as Americans. The Boy Scouts served as young Carl’s entry into a broader world. He joined Troop 10, the first of Middletown’s Sicilian-Americans to do so. Carl advanced to the rank of Eagle Scout in 1925, that year saving the life of a man drowning in the Connecticut River. The American game of football also held sway. Carl played quarterback on the Sons of Italy team with his Italian friends. In 1935, Carl married Jennie Bellobuono, also an American-born child of Melillese immigrants. At the foot of Court Street stood Wadsworth Playground, where the neighborhood children–nearly all of them Italian–gathered in the 1920s. Helen Cannata Marino remembers her mother calling the playground, “The Rich Man’s”–a reference to Colonel Wadsworth, who had donated its land. This view from 1924 captured a group of boys ready for baseball or some carousing. From left are Salvatore “Buzzy” Lombardo, Joe Cannata, Mike Cannata, John Garofalo, Pat Tomassi, Sal Salafia, “Whitey” Cannata (crouching), Phil Salafia, “Hickey” Cannata, Joe Amato and Carmelo Lombardo. A decade or so later, the boys on the playground were the confident young men of the city. By then, the Italian community was firmly established. Middletown would soon elect its first Italian mayor. Most young people still married within the Italian community, but families were moving out of the immigrant neighborhoods east of Main Street and into suburban areas of the North End such as Grand and Liberty streets. The young men posed on Main Street about 1932 were (front row, from left): Nick Barone, Paul Galitto, Rosario Pitruzello, Lou “Dopey” Salafia, Mike Cannata, Tom Bartalotta, Mike Allesie, unknown; (back row) “Hickey” Cannata, Joe Fava and unknown. For the celebration of the Blessing of the Virgin Mary, held each May, women of the congregation dressed in white. Here they are posed for a group photograph on the church lawn. The beloved Feast of St. Sebastian, pictured here in this 1970 photograph, was first celebrated in Middletown in the early 20th century. Proceeds from the feast’s early years helped finance the building of the church. Held annually, the three-day festival features a parade through Middletown’s streets, carrying the statue of the patron saint.